While a great deal of attention is currently on the Royal Commission, an insightful report was released last year focussed on Australia’s Aged Care Workforce. 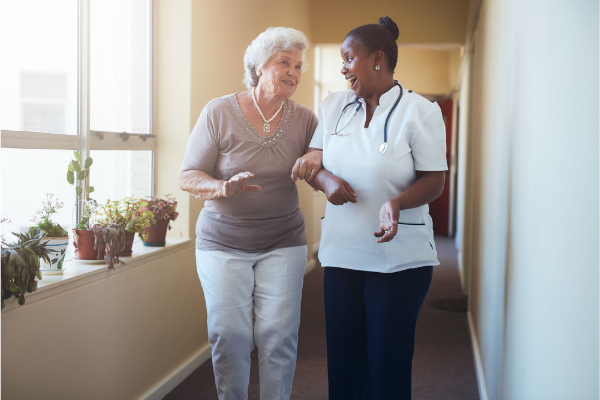 A matter of care - Australia’s Aged Care Workforce Strategy was released in June 2018 by the Aged Care Workforce Strategy Taskforce, chaired by Dr John Polliers. The people that make up the aged care workforce are such a crucial part of how well our older loved ones will be cared for now and in the future. Across the business community over the last 20 years, the conversation around attracting and retaining talent (people) has been a hot topic and this report highlights that aged care is no different. The report identifies the need to integrate new and emerging technology. It is not surprising that there is recognition that the workforce needs greater support around education and training. “The competencies and skills of the existing workforce must be boosted, with a focus on practical skills and known competency gaps.” Page 22. What is promising is that some of the actions suggested in the report are being implemented by the sector. The Aged Care Guild, Aged & Community Services Australia (ASCA) and Leading Age Services Australia (LASA) have announced they’ve come together to form an industry group dedicated to leading the sector’s workforce strategy. The YourLink team are keen to help support this sector with this skills gap. Our Digital Skills for Aged Care Seminar Seminar on February 28th, 2019 is one example of how we bring practical support to the important aged care sector. Read more about the Workforce Strategy Taskforce and the Report here. Contact Richard on 0408 742 743 or richard@yourlink.com.au to find out more about how YourLink can work with aged care and community providers.